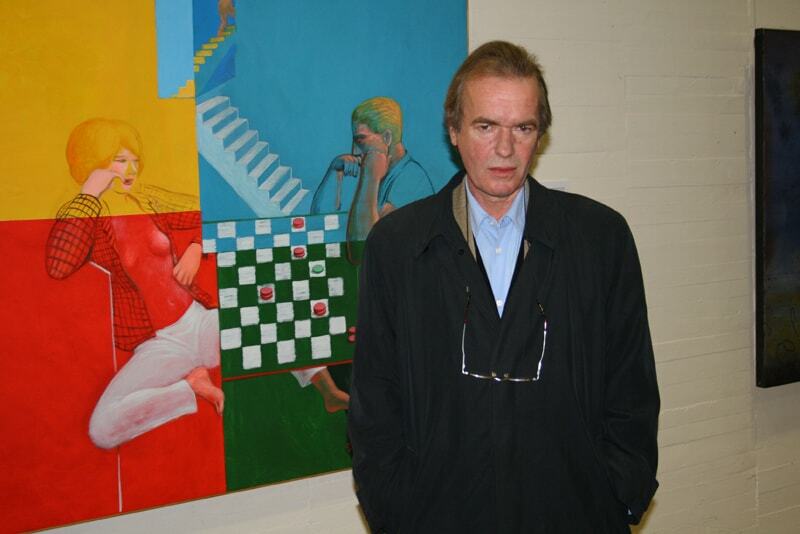 An amusement arcade is perhaps the last place you would expect to find someone like Martin Amis, one-time enfant terrible of English literature and formerly respectable Professor of Creative Writing at the University of Manchester. Notoriously witty, erudite, baffling, and perhaps a little bit unpleasant, it’s hard to imagine this vocal mouthpiece chuntering at a game of Space Invaders rather than at the literary establishment, bashing big red buttons rather than his keyboard. However, in the early years of the 1980s, Martin Amis did indeed play Space Invaders, even writing a little-known strategy book about it, Invasion of the Space Invaders: An Addict’s Guide to Battle Tactics, Big Scores and the Best Machines, a work whose “shameful presence” was revived by Mark O’Connell in an article in 2008. When Nicolas Lezard of The Guardian reminded the mature Amis of the book, Amis glowered at him in a look with “more pity in it than contempt,” as if to imply that it should be expunged, or perhaps zapped, from his canon. Ideally, the book might be well forgotten in order to preserve the patina of respectability around someone who is now one of Britain’s most established if still controversial writers. But is Invasion of the Space Invaders patina, or does it signify something more substantial? Ten years later, in 1992, Martin Amis went (metaphorically) up in space again as he collaborated on the script for the Tim Burton film, Mars Attacks! At that time living in Los Angeles and taking a break from writing fiction, Amis had been interviewed by Jon Davison for Premiere magazine. As described in a Times article, Amis and Davison hit it off, Davison went on to become the film’s producer, and Amis was duly commissioned to work on the project. Amis, who is a self-professed science fiction fan, had previously worked on Saturn Three (1980), about a maniac who builds a robot that goes out of control. Amis described the Mars Attacks! project as “an updated version of War of the Worlds, except that they don’t come to mess us up. They come in search of new markets. They talk and dress like Californian businessmen and bring all kinds of benefits, like cancer cures.” In the end, the script was substantially reworked and Amis denied having contributed so much as a single word. Nevertheless, it is hard to imagine Amis even considering writing about bug-eyed aliens. However, rather than trying to expunge these works from the record, they are in fact well in keeping with Amis’s oeuvre. His writing has been consistently inconsistent, warring against cliché and refusing to settle into the cosy slippers of a single genre. Just consider the following: his short story and essay collection imagining the horrors of nuclear war, Einstein’s Monsters; the backwards-narrated Time’s Arrow that defamiliarises the Jewish Holocaust; the black comedy of the Thatcher-era London Fields and Money; and his most recent, self-proclaimed “state of England” novel, Lionel Asbo. Little has escaped Amis’s gaze during his career, which has hopped from one topic and literary approach to the next. In this sense, far from being unusual, Amis’s diversity highlights a significant but misperceived trend of twentieth and twenty-first century literary thought, one that is sometimes overlooked when we try to separate out “literary” writers from “popular” authors in order to place every writer into his or her own categorical box, or when we employ terms such as “modernist” or “postmodern” to distinguish intellectual authors from the mass-market. As was pointed out in a recent podcast I conducted with the organisers of two modernism conferences at Durham University , we often use words like “modernism” to define writers who are aloof, intellectual; these words become synonyms for a high canon of literature, different to the low and popular stuff that the masses are reading. However, this obscures the often significant links between highbrow and lowbrow, between the “modernist” (i.e. forward-thinking) and the mainstream. That the literary establishment is suspicious of the mainstream is indicated by the fact that Amis himself, never normally one to kowtow to critical convention, has tried selectively to edit out Invasion of the Space Invaders and downplay his role in Mars Attacks! in order to preserve a particular kind of reputation. However, Amis’s career trajectory, zipping around like an out of control rocket, is actually quite symptomatic. The most innovative writers have always been willing both to come down to earth, and to blast off to Mars. Dr Alistair Brown is an Associate Lecturer at the Open University and does postdoctoral work in English at Durham University. Alistair’s blog can be found at The Pequod; he also edits Research English At Durham. Image: Martin Amis gives a speech in León, in northern Spain, in 2007 © 2007 Javier Arce on Flickr, share-alike licence. Amis certainly seems to have a fascination for the, erm, less discussed bodily functions. I must admit that I certainly don’t like all of his work, partly for this reason. However, if you want to go back to him I’d certainly start with either the short stories, or with Time’s Arrow (though this also involves a few “toilet scenes”). Interesting stuff — i’d love to read Amis’ Space Invaders book, though last time I checked secondhand copies were fetching ludicrously high prices online. Still, the whole Mars connection in Amis is a big one. One of his most interesting short stories is called ‘The Janitor on Mars’ (where the Janitor is a kind of ironic self-portrait, I think). And when Other People came out, its linguistic experiments were likened to those of the so-called Martain poets (esp. Craig Raine, author of a ‘Martian Sends a Postcard Home’, and one of Amis’s Oxford tutors). One wag even pointed out that ‘Martin Amis’ is an anagram of ‘Martianism’! Yes, the Space Invaders book is brilliant but very hard to get hold of. There are only 6 copies even at university libraries around the UK, so finding one is a treat – though I bet there must be a few neglected ones kicking unloved around second-hand bookshops. I wasn’t familiar with that short story, although thinking back to Einstein’s Monsters there’s a real science fiction thread running through there as well. Martian Amis indeed! Read George R. Stewart, who – without using poop – managed to create new genres of literature, earn the respect of the literati and other authors, and sell millions of books. Earth Abides comes to mind, or Fire or Storm. I had not read or heard of Amis before reading this article, that being said, I think the point of the post was to get writers talking and thinking about what it means to be an author of literature. Does it mean you can only write in one genre? Does it further mean you can never publish anything media-driven or pop-culture related? I think the last comment makes the point that perhaps the truly brilliant authors can and do step outside the confines of their singular genre of literature – even if it brings them nothing but headaches and criticism from their respective peers and communities. I agree – the best authors do step out of one singular genre, or invoke multiple genres in a single work. Having said this, I wonder if this is something specific to our critique of modern writers. After all, we don’t see Charlotte Bronte or Jane Austen as being lesser authors because they wrote predominantly in one particular, realist genre. Perhaps it’s only now – when we’re surrounded by other media such as film, with which Amis has been involved – that we expect our authors to show more diversity. I would be with Amis in wanting to obliterate past “indiscretions” related to low brow culture. However, if I pause to consider that this urge arises from my lower-middleclass upbringing where my mother was always wanting to “improve” herself, her children, and my father, then I can make the effort to pull myself out of that mindset and embrace all cultural aspects, literary or otherwise. But this takes great effort. On second thought, I don’t think I could bring myself to embrace lowbrow television or Fifty Shades of Gray…Science fiction, though, is a welcome presence. It tends to attract those who are at least thinking beings. I have to say I don’t blame Amis either for wanting to construct a more “highbrow” reputation for himself. However, I do think it’s a shame that he feels the need to do this because critics can’t, on the whole, see his “lowbrow” offerings as interesting and worthy of study in their own right. On which note, I guess I best admit that I’m not averse to a bit of lowbrow culture myself, watching X-Factor peering over the top of my Kindle! Novelistically, I’ve always wanted to better like Martin Amis — and, for that matter, his father — but I’m afraid I never quite can. And yet, and yet … stylistically, the man can certainly write. My very favorite thing by him — and the reason I’ve always wanted to like him more — is a book of his essays I once bought, well over a decade ago, called Visiting Mrs. Nabokov. I enjoyed that book so much, I can’t even tell you, laughed out loud so many times while I was reading it, and to this day I frequently go back and reread it. His essays on J.G. Ballard, Anthony Burgess, Gary Kasparov, Vera Nabokov, and (of all things) the Cannes Film Festival are libraries of literary interestingness, unforgettably witty. They remind you a little bit of J.D. Salinger’s short stories, in their sophisticated and yet entirely intelligible phrasing, the way he clauses his sentences. It’s his uncompromisingly first-person narrative novels that always leave me cold.